‘Where the artists, beach bums and bohemian types gather to live the Colombian dream’. Baranquilla and Santa Marta, two Colombian cities on the Atlantic coast, well known for their beautiful beaches and Caribbean lifestyle. But the crowds and commercialisation of these tourist traps make them unattractive to many. If you are looking for solitude somewhere most paradisiac. Where you can take inspiration, and vibe with travellers and locals of the same ilk. Where the artists, beach bums and bohemian types gather to live the Colombian dream. 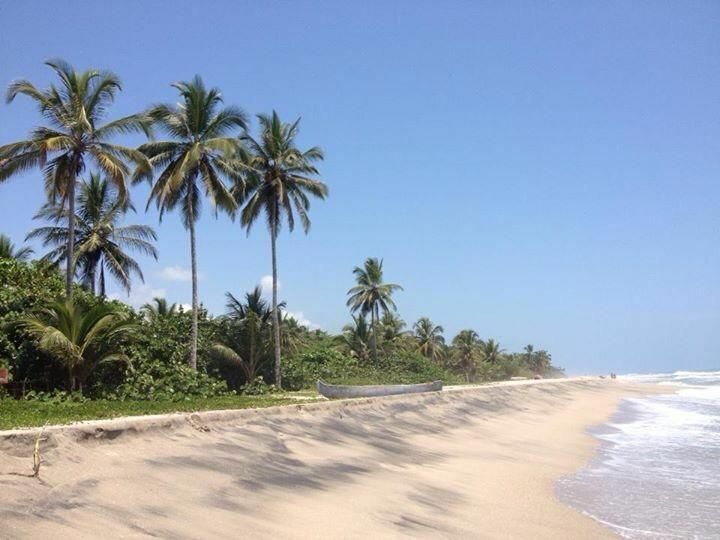 Then you should head straight for the white beaches of Palomino. It is nonsensical to compare Palomino to Baranquilla or Santa Marta really. They are worlds apart, despite Palomino being a mere 70km east of Santa Marta. Where the Magdalena department ends, the department of La Guajira begins. Sat like a smouldering cigar on the rim of the Venezuelan border. This department has seen its fair share of the Colombian conflict, the drug wars, border disputes and smuggling enterprises. It is a no wonder it has been slow to catch up. The beaches are mild and tranquil, and only in the last few years has it started to become popular. Backpackers and tourists are now visiting more frequently, and the paradise they find, they never want to leave. Colombian university students, families, and even the wealthy elite are all honing in on this incredible jewel, in Colombia’s weathered crown. Surfers and water sports enthusiasts find their corner of Colombia here. With suitable waves and currents to keep them all suitably amused. Those that do decide to leave, are often drawn back. Some even to start a new life in Palomino, a town of just under 4,000 inhabitants. It is quaint that this multicultural mish mash of new arrivals, now lives alongside a diverse indigenous section of Colombia. The indigenous tribes of the Sierra Nevada de Santa Marta, The Koguis, Arhuacos, Wiwas and Kankuamos, all reside here. Infusing the town with mystical charm and traditional handicrafts. How such a small town, almost unknown a few years ago, has blossomed so fruitfully. Is a mirror for Colombia’s development over the last 20 years. Like antidote to venom, tourism is opening up all the once unvisitable pockets of the country. Seeking out all the hidden knooks and crannies. From Palomino you can travel yet further. 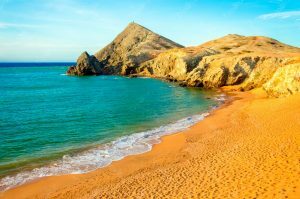 Along the coast are the isolated beaches at Cabo de la Vela and Punta Gallinas. After leaving the highway, Cabo de la Vela is a two hour drive by dirt track. This kind of isolation doesn’t come easy. But the drive is worth it. Further along at the Northern most tip of Colombia and mainland South America, is Punta Gallinas. 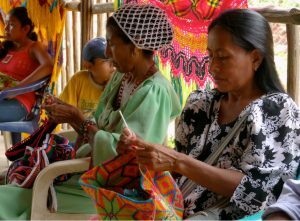 The Wayuu peoples inhabit this area of Colombia, and into Venezuela. They are the largest indigenous group in Colombia. Renowned for their colourful hand crafts. If you really want a traditional Mochila bag, then La Guajira is the only place you will find one. Along with hammocks, bracelets and miniature dresses. Without wanting to sound too pessimistic. All good things must come to an end. Taganga, a fishing village closer to Santa Marta, was once in Palominos position. Now it is lost to the tourists forces that consume all such destinations. You feel that one day soon the tranquillity of Palomino will also fade away into a cloud of history. But until that day, I for one will enjoy every inch of it. Glad you found it useful Yeezy… Have a great day! What’s up,I check your new stuff named “Palomino Colombia a Bohemian paradise on the Atlantic coast of Colombia” like every week.Your humoristic style is witty, keep doing what you’re doing! And you can look our website about تحميل اغانى شعبى.